It’s not a totally new world for nonprofit consumer advocates, but there are new challenges for many. The challenges are especially daunting when dealing with new governmental programs that have been subject to what have been colloquially termed “glitches” in their rollouts and hamstrung by intentional impediments and budget cuts designed to make programs unworkable. The work done by nonprofit consumer advocates can be near heroic for the people being assisted. To do this work, the advocates sometimes have to dodge veritable brickbats from opponents, mobilize volunteers because of funding shortfalls that limit staff hiring, and dance through sui generis congressional inquiries. They deserve praise and recognition for working in tough conditions. “No question is too big or too small,” says Celia Berks, the coordinator of ten navigators working out of the Bennington Free Clinic in Vermont, part of Greater Bennington Interfaith Community Services. The navigators are a creation of the Patient Protection and Affordable Care Act, deployed by nonprofits and public agencies around the nation to help people either enroll in health insurance on the state or federal health exchanges or sign up for existing or expanded Medicaid coverage. Now, nonprofit consumer advocates like the Free Clinic’s navigators have to provide assistance to consumers and simultaneously work with state and federal officials to get past problems in the enrollment process. “I thought we could do between 400 and 500 enrollments and it’s been much, much more time intensive than we had ever anticipated,” notes Sue Andrews, the executive director of Interfaith Community Services and a health care navigator herself. The Free Clinic’s navigators are just about all volunteers, so that the grant that the organization received for providing the navigator function could be stretched to serve more people. Given how much counseling it has taken for many people, the Free Clinic’s decision to expand its services with volunteer labor was prescient in light of the problems with enrollment through Vermont Health Connect, the state’s health insurance exchange, or the federal exchange. But yeoman efforts don’t do it for some diehard opponents of making health insurance more accessible and hopefully in the end more affordable for lower income individuals and households. Several states have introduced and passed legislation meant to restrict the activities of navigators as well as limit who might qualify to be a navigator. In Kansas, a pending bill would establish qualifications requirements not in the federal legislation and prohibit navigators from offering any advice whatsoever about the merits of specific policies for individuals and businesses they might be assisting. Among the typical obstacles inserted by states like Texas is the requirement of as many as 40 hours of additional training for navigators on top of the 20 to 30 required by the federal government—but without providing any additional funding to pay for the extra training. Similar restrictive legislation has been struck down by a federal court in Missouri, but that isn’t stopping the opponents of the ACA from exploring every possible avenue in the legislature to make the lives of these healthcare consumer advocates difficult. Helping people isn’t easy when the opponents of the program actually turn out to disrupt programs. Opponents of the Affordable Care Act protested an enrollment effort organized by the navigators working for the University of Georgia’s Department of Financial Planning, Housing, and Consumer Economics. After Americans for Prosperity, a very conservative political action group, posted the schedule of FHCE’s planned enrollment events, calling for future protests, the navigators decided to “refocus…our efforts on working with individuals and trying to get people enrolled, and working in smaller, trusted venues instead of doing these big events,” according to Sheri Worthy, the UGA’s director of the FHCE unit. Facing protests when advising people about needed services is nothing new. The sad part is that the protests essentially target vulnerable people in need, the lower income people who might be turning out to a navigators’ event hoping to get help in understanding the complexities of the options they might encounter in policies on the exchanges. It must be how women feel when they have to pass gauntlets of protesters while seeking advice at birth control clinics. The consumer advocates, those navigators struggling to help people through the complexities of health insurance options, deserve recognition for carrying out their jobs under difficult circumstances—underfunded, hurried (because the Obama administration announced and distributed the navigators’ grants so late before the federal healthcare.gov site was launched), understaffed (because the work has proven more complex and onerous than the navigators’ sponsors might have anticipated), and harried (due to traveling bands of protestors aiming to deter people from signing up). Many people probably think of Consumer Reports as the magazine for shoppers to check out best buys and values of items ranging from household appliances to cars. But Consumer Reports has an advocacy arm, Consumers Union, that is at the forefront of advocacy on a range of issues from healthcare (we count on it as one of our first sources of information on issues related to the Affordable Care Act) to cable TV mergers (it announced its deep reservations about the impact on prices and service of the proposed merger of Comcast with Time Warner Cable) to credit and debit card protection (advocating for greater consumer protection in the wake of the Target and Neiman-Marcus data breaches). [Full disclosure: The programs director of Consumers Union is a member of the NPQ board of directors]. One of the longtime lessons of the Consumers Union experience is that effective work on behalf of consumers isn’t just reactive, but proactive, requiring public policy advocacy. That means helping build and sustain the governmental programs that have the size, scale, and force of law to rein corporate malefactors. One of those programs is the Consumer Financial Protection Bureau, which has been threatened numerous times in its brief existence since 2011. It is under threat again, this time as a result of the House of Representatives’ consideration of a bill sponsored by Texas Congressman Pete Sessions and others. Consumers Union reports that H.R. 3193 would “neuter” and “handcuff” the Bureau in a number of ways: by making it easier for other regulators to overturn CFPB rules, by restructuring the Bureau so as to delay rulemaking and enforcement actions already in progress, and by changing the rules for funding the Bureau, making it easier for industry lobbyists to weigh in against Bureau appropriations. As background, the Dodd-Frank law, formally known as the Wall Street Reform and Consumer Protection Act, is the most significant change in governmental oversight and regulation of the financial sector of the U.S. since the Depression. For consumer advocates, Title X of Dodd-Frank created the Consumer Financial Protection Bureau. It was initially to be headed by Harvard University professor Elizabeth Warren, but Congressional Republicans objected to both Warren and the Bureau, opposing her appointment until the president withdrew her nomination, and opposing the appointment of any director of the Bureau until the president made a recess appointment of former Ohio attorney general Richard Corday. In the wake of the financial crisis that caused the Great Recession that began in 2008, the Bureau is meant to counteract the banking practices that led to unprecedented modern-day mortgage foreclosures. The Bureau’s activities involve educating consumers about their protections against abusive lending practices, clarifying consumer financial protection regulations, monitoring the practices and behavior of financial institutions, and enforcing financial protection laws. Despite limited funding and fending off a succession of bills sponsored by Republican legislators that would largely leave it hamstrung, the Bureau received 122,000 citizen complaints in Fiscal Year 2013, half of which were about mortgages, 15 percent concerned credit cards, and another 15 percent addressed bank accounts. The Sessions bill turns consumer advocacy on its head. A key provision in the bill seems to be the requirement of “the [Financial Stability Oversight] Council, upon the petition of a member agency of the Council, to set aside a final regulation prescribed by the CFPB if the Council decides that such regulation is inconsistent with the safe and sound operations of U.S. financial institutions.” Given how oversight agencies can be strongly influenced by and even become beholden to the interests they are meant to regulate, it isn’t hard to imagine scenarios where one of the member agencies of the FSOC, such as the Board of Governors of the Federal Reserve System, the Commodity Futures Trading Commission, the Federal Deposit Insurance Corporation, the Office of the Comptroller of the Currency, the Securities and Exchange Commission, or the U.S. Treasury Department, might be convinced to question whether a potential CFPB rule or action might impact financial institutions in a way that the institutions don’t like and therefore call a halt to the process. For the heroes of consumer advocacy on banks, defending the CFPB is going to be a struggle, as there are divisions on the nonprofit side. Just recently, the nonprofit Neighborhood Assistance Corporation led a protest against the Bureau because its rulemaking and actions had made, it contends, banks wary of making subprime loans, which NAC believes, based on its own experience, can be made with low or no down payments without overreliance—or in NAC’s case, any reliance—on borrowers’ credit scores. Defenders of the Bureau, such as the Center for Responsible Lending, think that despite dangers of credit drying up from excess bank caution, the Bureau has done a decent job of trying to expand access to mortgages and balance competing demands. 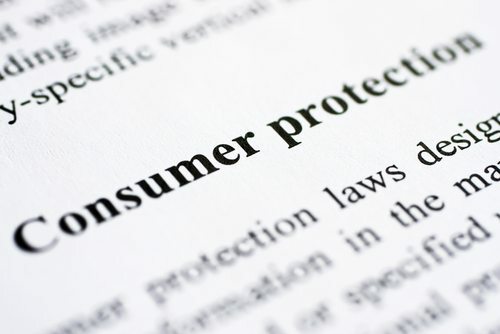 The importance of the CFPB as a major breakthrough in consumer protection and consumer advocacy isn’t just that it is protecting Americans from predatory mortgage lenders. It is working on a variety of issues where lending and credit undermine the financial health not of banks, but of ordinary Americans. Remember how outgunned the consumer advocates are when they face off against the financial sector. The CFPB estimates that financial services companies spend some $17 billion a year on marketing, while in the U.S., the total amount of money spent on financial education or financial literacy is a comparatively paltry $670 million. The CFPB is in its own way somewhat heroic facing off against the most powerful actors in the U.S. economy. The Bureau and the nonprofits that stand by it such as Consumers Union and the Center for Responsible Lending deserve recognition and widespread support. It will surprise no one that with the wealth of corporate America standing against much of consumer advocacy, some consumer advocates may not be what they seem. Big money finds little problem in creating nonprofits to do their bidding, using the language of consumer protection to advocate for specific corporate interests. One example is in the sugar wars. There are probably plenty of reasons for consumers to reduce the amount of high-fructose corn syrup they ingest. Food author Michael Pollan has long bemoaned the presence of corn in the diets of Americans, in nearly everything they eat, turning us into a nation of corn people. “No longer content to rely on traditional lobbyists, companies are investing in other messengers such as nonprofit groups or academicians who can provide expert testimony, shape media coverage and change public opinion in ways that ultimately affect decisions in the nation’s capital,” Hamburger writes. “The new approach gives deep-pocketed interests more tools to influence policy but without the transparency that comes from traditional lobbyist registration rules that require companies to disclose how they seek to influence policymaking.” They don’t have to disclose because they are 501(c) nonprofits and protected from public disclosure of donors names and amounts by nonprofit rules. That is not to say that the corn syrup refiners were passive victims in using nonprofits for what is called “soft lobbying” by corporate America, a practice of using purportedly independent nonprofits to carry corporate messages. The corn refiners have been funding university researchers aiming to debunk the sugar industry’s claims about problems associated with high-fructose corn syrup, compromising the researchers’ credibility at a minimum. The corn industry has also been funding the Center for Consumer Freedom, a nonprofit advocacy group directed by Washington, D.C. lobbyist Richard Berman, whose company runs several nonprofits that have fronted for corporate interests. The Center has been running a campaign using TV, radio, and the Web to defend corn syrup and attack the sugar people. The Corn Refiners Association tried to be no less secret in its support for Berman’s dubious nonprofit than the Sugar Association has been behind in support of Consumers for Health. It would be better for the public if one organization were called the Corn Syrup Producers for Consumer Freedom and the other the Sugar Consumers for Health, but neither bills their primary funding support. In the case of corporate interests hiding behind nonprofit organizations pretending to be consumer advocacy organizations, the unsung heroes are the investigative journalists in the print and online press. Whether it is a matter of uncovering the identities of the players supporting and funding organizations like the Center for Consumer Freedom and Consumers for Health, or simply spotting and outing entities like the “Stop the Choke” effort that is promoting the interests of payday lenders by suggesting that regulations against them will hurt charities, too, American consumers have to appreciate the investigative journalists who dig into the details and spot the evidence of corporate interests masquerading as consumer advocates. The first thing that nonprofits have to do is to key their public policy advocacy to what nonprofit consumer advocates are learning from the real-life experiences of people trying to access the services and protections they need. For example, in the Affordable Care Act, navigators are learning that many lower-income households with incomes above the federal poverty level, or even above the expanded eligibility level in some Medicaid states, are faced with higher than expected premiums and co-pays on the insurance they are getting on the health exchanges. Consumer advocates who work with consumers on a day-to-day basis are invaluable sources of information that should inform public policy. The notion, for example, that lower-income households should be able to afford to pay 9.5 percent of their incomes for health insurance may have worked to convince Congress that the cost of the ACA would be below $1 trillion, but the reality is that these American families need deeper subsidies to afford the costs of health insurance and copays. Ask the consumer advocates. Second, nonprofits should be turning to consumer advocates for evidence of what works, not just what doesn’t work. For example, who better than the consumer advocates on the ground to attest to the successes in West Virginia and Kentucky in getting people registered for expanded Medicaid coverage? These two states, plus Washington and Oregon, tested and used “enrollment accelerators”—essentially, the use of information from other programs like food stamps to identify and contact people who should be eligible for expanded Medicaid coverage. The result is that West Virginia, unlike many states, is way ahead of its Medicaid enrollment projections for 2014, having already enrolled 70 percent of the state’s eligible consumers by using information from the Supplemental Nutrition Assistance Program (SNAP, the formal name for food stamps) and the Children’s Health Insurance Program (CHIP). Turning to consumer advocates—legitimate ones—for information about positive public and private sector role models should be crucial for nonprofits promoting community betterment and social change. And third, nonprofit leadership organizations should be defending consumer advocates from obviously partisan attacks from members of state legislatures and the U.S. Congress, and from being undermined by phony nonprofits that are really just corporate or extremist fronts. While Kansas legislators continue to promote their bill to regulate already federally regulated navigators in a transparent effort to impede the implementation of the Affordable Care Act, a South Dakota state legislator was convinced to withdraw his own bill to regulate navigators there, concluding that there was no evidence that the problems he and others imagined among navigators had actually come to pass. All too often, and sometimes all too obviously, the partisan and corporate attacks on nonprofit consumer advocates are really attacks on nonprofits per se. There are plenty of critics who would prefer to see nonprofits reduced to simply functioning as service deliverers, as charities to help the poor, rather than participating in community mobilization and public policy advocacy to advance the interests of the poor against big corporations and their lackeys among state and federal lawmakers. There is much to admire and praise about nonprofit consumer advocates and about some of the public programs their advocacy has helped engender.